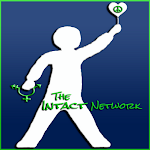 improve professional and public recognition that infancy is a critical period in psycho-social development. 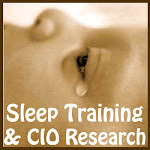 work for the improvement tof the mental health and development of all infants and families. The following is the AAIMHI's position statement on the use of 'Time Out.' View as a pdf here. Time out involves time away from a rewarding or positive environment as a consequence of some form of misbehavior, usually for 1 – 5 minutes. The definition used by AAIMHI for this statement is where the child is also removed from the presence of and/or interaction with the parent or carer. AAIMHI’s concern is that some parents and others caring for children in the community understand time out as exclusionary time out, that is, as separation from the parent or caregiver as well as from the activity in which the child had been involved. This statement refers in particular to the use of time out with children in the first three years. However, some of the issues raised will also be relevant to older children. While there is research that supports using time out to control behaviour, especially for older children, this research does not address the emotional impact on the child. Developmentally, children less than three years cannot be expected to be able to self regulate emotionally. Therefore they still need the presence of a caregiver to assist them with this process, not separation from them. Separation may increase a child’s insecurity and distress. Many older children have never had emotional regulation modelled to them by their caregivers in ways that enable them to learn self regulation. They therefore also need the presence of a caregiver to assist them with the management of their feelings. Children under three years may not have the developmental capacity to keep in mind the connection between their behavior and the response of the caregiver, especially if there is any time delay. Unregulated feelings are the cause of ‘out of control’ behaviour; responding to this behaviour needs to be about responding to the underlying emotional need of the child. The most effective, long-lasting way to respond to this behaviour is for caregivers to understand how the child is feeling and thinking. Then the parent or carer can anticipate when problems will arise and plan to prevent them. When they do happen the parent can show that strong feelings can be understood and managed. Sometimes therapy may be needed for persistent ‘out of control’ behavior. The AAIMHI position on responding to children’s behavior is informed by an attachment theory model of relationships which is now backed by a very significant body of research. The use of time out (where the child is removed from contact with the parent or caregiver) with children under three years is inappropriate. The use of time out with children over three years needs to be carefully considered in relation to the individual child’s experience and needs. It does not teach constructive ways to deal with problems; instead it teaches separation as a way to deal with problems. It does not take into consideration the developmental capacities of young children under three. From an attachment and development-based point of view, children this age are experimenting and do not yet have the necessary skills to control impulses and emotion, i.e. their behavior is not misbehavior. It deliberately cuts off the child from the relationship with parent or carer so that the child feels powerless to connect with the adult; this cutting off from relationship is an intended consequence for the child’s behaviour and is seen by the child as a punishment. It does not address the message (cause) behind the behavior. It fails to recognise that young children do not learn self regulation of emotions by themselves; they need the support of a parent or carer. 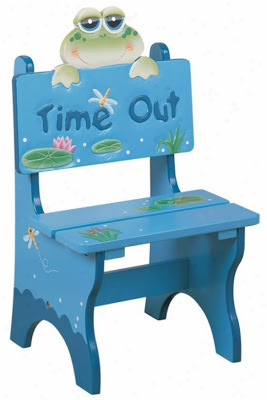 One parent's time out sign. Is this a developmental stage? Is this an individual or temperamental difference? Is the environment causing the behaviour? Does the child not know something but is ready to learn? Does the child have unmet emotional needs? 1. Make sure the child’s environment provides for the basic needs of love, emotional and physical security, room to explore and encouragement. The emotional context should be with the parent and child in a partnership for growing and learning, not an oppositional one of controlling. 2. The parent needs to be the one in charge (in a guiding way), wiser than the young child. The child does better with a confident, kind caregiver. 3. Let young children be as much involved in helping with activities as is sensible. Show children how to do things that they can feel good about. 4. Monitor a young child’s activities and emotional state. Watch for early signs of distress or difficulty and act then (divert, attend to needs, give a hug, change the activity) rather than waiting for the emotional response to develop. 5. Respond to precipitating factors such as a child’s level of tiredness or excitement or family changes such as a new baby. 6. Calming routines before difficult situations are a good idea to get your child in a calm, well balanced state, e.g. a quiet game, a bath, a walk outside, a story. 7. Give young children choices where possible and within their capability. 8. Anticipate difficult situations. Think about when they happen and plan to avoid them if possible. For example, take with you some things to amuse a young child. Watching adults is very boring for them. If not, talk to the child about the situation ahead of time. Challenge the child with how you would like things to go: “I wonder if you would be able to (be clever, strong, etc.) and help me do this?” Have a plan in case things don’t go well. 9. Think about the event from the child’s perspective. 13. 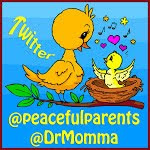 Importantly, parents who are very upset themselves need to take a break, as long as the child is safe. 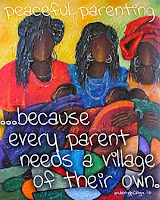 Helping parents to find support is important; there are always times in parenting when this is needed. 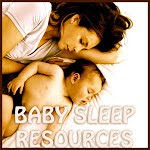 Specific resources for helping one and two year olds (and older) with behavior and feelings. When children are upset, out of control, rude or angry, what they need most is to be with a safe and accepting adult. They need to be with someone who is calm and non-punitive, and can recognize that anyone can get very upset at one time or other. They also need someone who can help them express these strong feelings appropriately. The context of responding to young children’s behaviour is to use the parental relationship with the child to assist the child with emotional regulation, i.e. young children learn emotional regulation in the context of the relationship and with the support of the parent. It is not something they learn alone. [Time out] assumes that, at any age, we learn by ourselves and do not need others to help us. It assumes that we already somehow know the ‘right’ way to do things and can simply go to our room and ‘tune into’ the right way. Again, it appears to the child we do not need anyone to help us do this ... I do not believe that children of two, three, four, five or even six are able to perform such thinking tasks because they do not yet have the reflective skills to do so ... time out is a punishment that deprives a child of the very relationship that he needs at the time the punishment is given. See: Weininger, Otto (2002). Time-in parenting: how to teach children emotional self-control, life skills, and problem solving by lending yourself and staying connected. Toronto: L. Rinascente Books. Available upon order in Australia from Open Leaves Books. The Emotional Life of the Toddler: This book by Alicia Lieberman also has very helpful information about toddlers and how the way we respond to them helps them with important learning and development. It gives parents and carers a real insight into the world of the toddler and what is behind their actions and feelings. Berlin LJ, Ziv Y, Amaya-Jackson L, Greenberg MT (Eds) (2005). Enhancing Early Attachments. Duke Series in Child Development and Public Policy. New York: The Guilford Press. Betz C (1994). Beyond time-out: Tips from a teacher. Young Children 49:3, 10-14. Cassidy J & Shaver PR (Eds) (2000) Handbook of Attachment. New York: The Guilford Press. Elkind D (2001). Instructive discipline is built on under- standing: Choosing time-in. Child Care Information Exchange 141, 7-8. Fonagy P (1996). Prevention, the Appropriate Target of Infant Psychotherapy. Plenary address at the sixth World Congress of the World Association for Infant Mental Health. Tampere, Finland. July. Gartrell D (2001). Replacing time-out. Part one – Using guidance to build an encouraging classroom. Young Children 56:6, 8-16. Gartrell, D (2002). Replacing time-out. Part two – Using guidance to maintain an encouraging classroom. Young Children 57:2, 36-43. Haiman PE (1998). 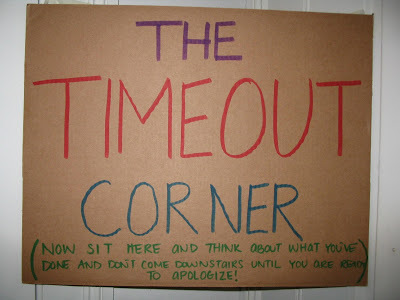 ‘Time out’ to correct misbehavior may aggravate it instead. Brown University Child & Adoles- cent Behavior Letter 14:10, 1-4. Hannon J (2002). No time for time out. Kappa Delta Pi Record 38, 112-4. Lang L (1997). Too much time out. Teacher Magazine 8, 6-7. Lieberman A. (1993). The Emotional Life of the Toddler. USA: The Free Press. Readdick CA. & Chapman PL (2001). Young children’s perceptions of time out. Journal of Research in Child- hood Education 15, 81-87. Reinsberg J (1999). Understanding young children’s behavior. Young Children 54:4, 54-57. Schore A (1994). Affect Regulation and the Origin of the Self: the Neurobiology of Emotional Development. Hillsdale NJ: Lawrence Erlbaum. Schreiber ME (1999). 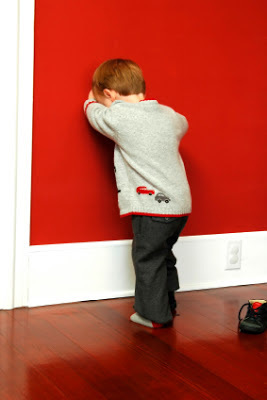 Time-outs for toddlers: Is our goal punishment or education? Young Children 54:4, 22-25. Weininger O (2002). Time-in parenting. Canada: Caversham Publishers. Wolf T et al. (2006). Time-out interventions and strategies: A brief review and recommendations. International Journal of Special Education 21:3. I tell people that I do "time out" (don't want to sound like that crazy parent, right?) but I go along. 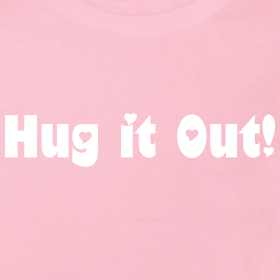 Because we all need time away from a stressful situation; that's what we all do, even grownups, when we get overwhelmed. But how is he to know how to use that time to calm down unless I am there to show him? Sometimes he doesn't even want me to touch him or look at him because he's so angry -- so I don't. I just sit quietly and wait. It doesn't take long before he finishes flailing around and screaming -- perhaps catching onto my calmness -- and flings himself into my lap for a good cuddle and a cry. How I wish I had had this growing up! I used to tell people that I planned to spank because I remember preferring a spanking when I was younger to a time-out. A spanking felt like an actual consequence, whereas a time-out sent the message, "Your emotions make you unworthy to be loved by anyone else in the family. Your needs don't matter until you are able to solve your problems on your own." I felt so horrible and rejected, and would beg to come out, but there would never be any answer because we had to get ignored during time-out. Now I don't spank either, because I just couldn't bring myself to stop nurturing my child and start hitting him just because he'd learned to walk. He still didn't understand how or why to "behave." And when you've spend a year or more becoming as attached to your child as you can, it just feels unnatural to try to hurt them in any way. You can't make yourself do it. A version different version of "time out" is used here than what I have seen commonly used in my family. In my family, time out is used for children between 2-5 and is used as follows to allow an over-stimulated/excited/upset child to calm down. It is implemented in the kitchen with the parent or caregiver present. It is "quiet time" away from the activity so that the child can calm down and be ready to reengage with other children. It is not used as a "punishment" for bad behaviour but as a transition to a calmer state of being. Thank you for this!! It's funny, I was just thinking about this very concept this morning, for no apparent reason. How can we expect children to know how to control their emotions if we don't model for them how to be in control of our own emotions? I definitely need to learn more. I am NOT so good at controlling how I express my own anger, disappointment, frustration, or hurt. It all just comes out as anger & defensiveness, usually. We have a comfort corner.. Anytime the children are getting really worked up they can go there. If they want I come as well if not then its their decision. My middle child (whos 3) sometimes NEEDS time away from everyone and me being there when she wants to be alone makes her strike out at me. I think the important part is not expecting more from your children then they are able to give. A young child needs to be taught how to act, they aren't born with that knowledge. Sticking them in a corner (or on a bench, or in their room) won't teach them what they should be doing. While I agree with all of this in theory, what am I supposed to do when a child is hitting, kicking, biting, scratching, spitting at, and/or punching me while I try to reason calmly with them? And if they follow me and continue the behavior when I try to leave the room? 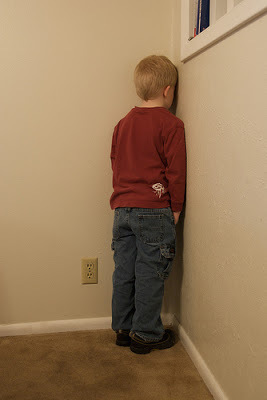 This is the only time we use time-outs because I truly cannot think of an alternative for a child who is that violently out of control and so far beyond reasoning with or talking to. Any suggestions? my 3 year old is the exact same way! i've never heard anyone describe my own child's meltdowns as well as you have. the only thing i know to do that works for us is giving myself a time out. i tell her that i love her, but i am getting too mad and i need a break to calm down. i realize this the exact sort of behaviour this article is trying to prove when time outs are issued. but i don't know what else to do either. i make sure we have calm talks about behaviour, what we should and shouldn't do etc. we always end up having big hugs and cuddles, only after a few minutes for the two of us to calm down. So I have a question- what do you do then with a child who is not particularly upset- they have just not listened to your requests (ie "dont touch that" ) I understand the concept of "time ins" but when my 2 year old doesnt listen and after he has had a warning, he gets a time out on the stairs... he doesnt like it, but he doesnt need to "calm down" in time out. I feel its important for kids to have consequences or they often wont listen (I have been a nanny for 15 years) If I just sat there on the stairs with him, he could care less than that he is having a time out, its not like my presence is needed to calm him down. So what would we suggested in this case? 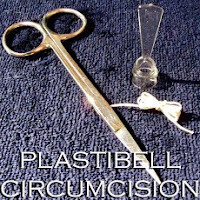 One thing not mentioned here is the near-perfect tool of breastfeeding. It's an excellent time-in solution and has a miraculously quick way of "re-setting" volcanic moods in 1, 2, and 3 year olds. 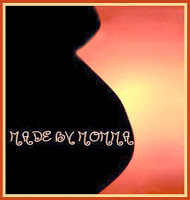 It just takes an open-minded mother to avoid prematurely weaning her little one - the reward for this is an amazingly easy, gentle early childhood while your child decides when he/she is ready to receive love through non-nursing ways. The most important aspect, I feel, in 'time ins' when younger and 'time outs' when older, is that the child themself decides when to rejoin the activity or indeed progress on to a new activity. I am teaching my boys how to withdraw, short-term and nearby, from a situation that is not working and then to think things through and rejoin when they are ready to handle the situation. It is also a socially acceptable way to handle strong emotions. My stance is always to teach techniques, through modelling, through framing things with the child, through teaching them to use the techniques ... that they can use throughout life and only need to modify slightly as they become adult ... otherwise what is the point in the strategy?